There is a vast literature for and against privatizing public services. Those who are against privatization are often confronted with the objection that they present no alternative. 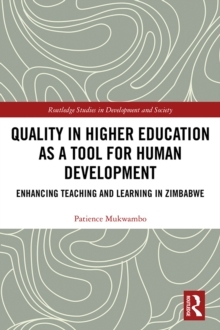 This book takes up that challenge by establishing theoretical models for what does (and does not) constitute an alternative to privatization, and what might make them `successful', backed up by a comprehensive set of empirical data on public services initiatives in over 40 countries. 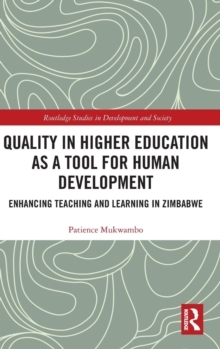 This is the first such global survey of its kind, providing a rigorous and robust platform for evaluating different alternatives and allowing for comparisons across regions and sectors. 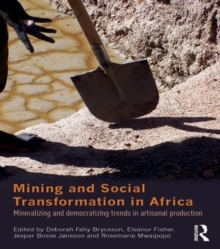 The book helps to conceptualize and evaluate what has become an important and widespread movement for better public services in the global South. The contributors explore historical, existing and proposed non-commercialized alternatives for primary health, water/sanitation and electricity. 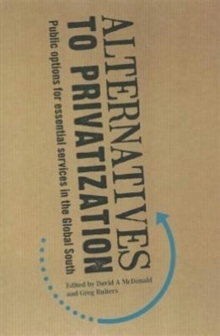 The objectives of the research have been to develop conceptual and methodological frameworks for identifying and analyzing alternatives to privatization, and testing these models against actually existing alternatives on the ground in Asia, Africa and Latin America. Information of this type is urgently required for practitioners and analysts, both of whom are seeking reliable knowledge on what kind of public models work, how transferable they are from one place to another and what their main strengths and weaknesses are.